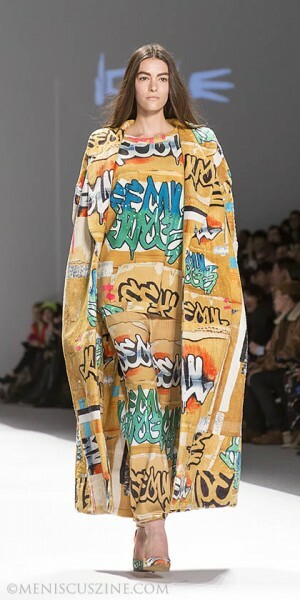 In an effort to promote Korean fashion outside of its home country, five designers are selected to display capsule collections at the semi-annual New York Fashion Week collective Concept Korea show (formerly a presentation in prior iterations), organized by various Korean government entities and organizations. 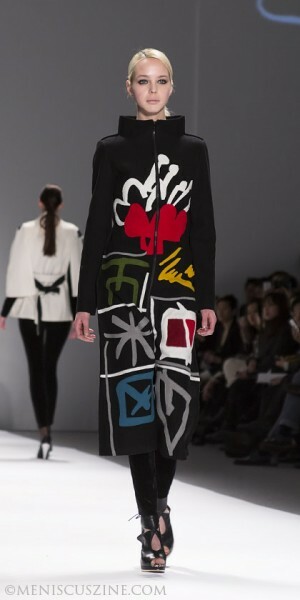 For Fall 2013, the chosen labels showing under the Rhythm of Korea theme were Choiboko, Cres. 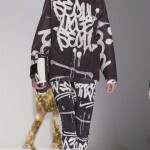 E Dim., KYE by Kathleen Kye, Lie Sang Bong and Son Jung Wan – the same five as last season. 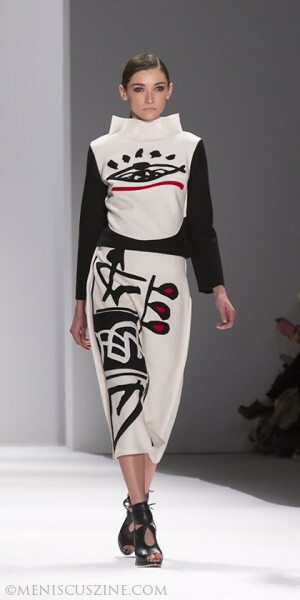 First up, Choiboko’s adventurous designs were not made for the faint of heart. 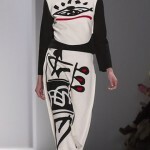 Large primitive patterns reminiscent of prehistoric cave drawings were scrawled on black and white coats, jackets and dresses. 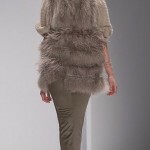 The refreshingly blank, though equally loud, white jacket with fur sleeves worn with black leather pants had wearability value, however. 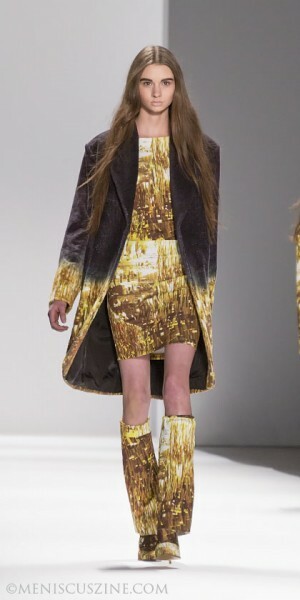 This was followed by the darker looks of Cres. 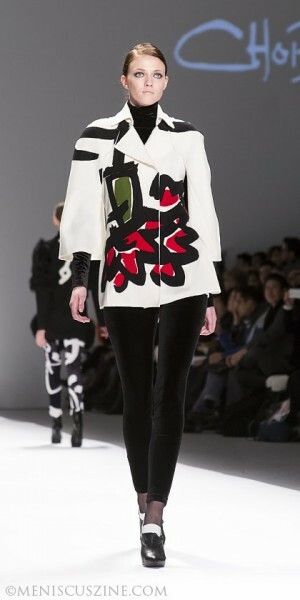 E Dim., designed by Hongbum Kim. 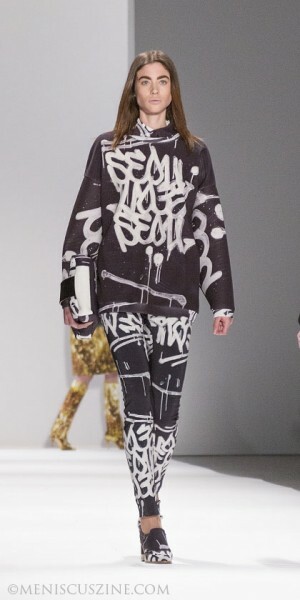 The collection had designs reminiscent of Helmut Lang’s urban cybergoth aesthetic, except without the starkness of the latter label. 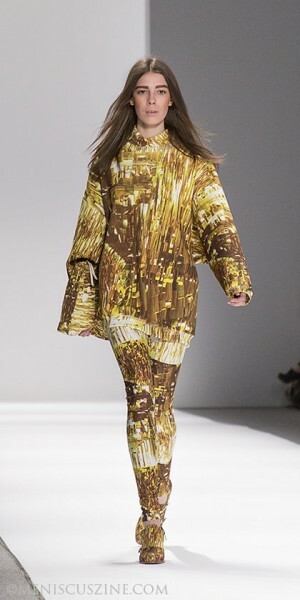 Instead, a deep burgundy bomber jacket with studded leather patches on the arms worn over a leather top and long pleated skirt was rich in texture and detail. 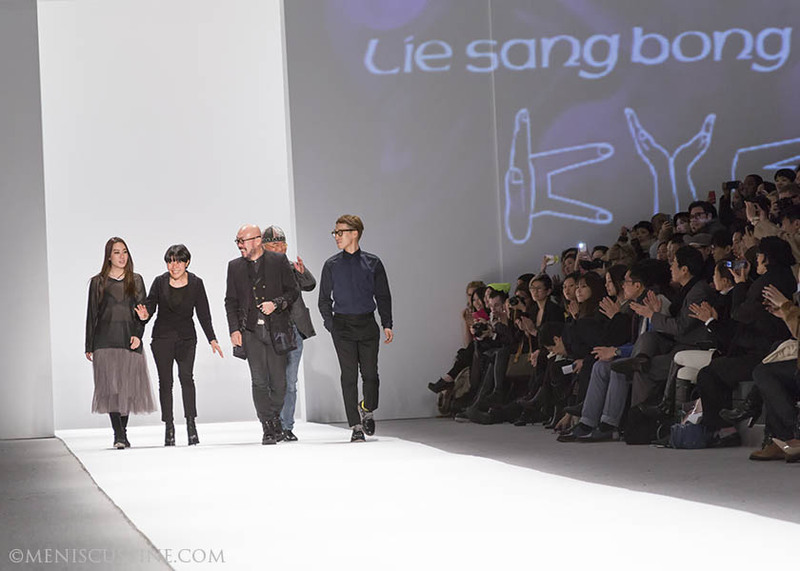 While Kim’s woman does not hide her toughness, Son Jung Wan’s prefers to stay demure. 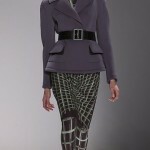 Beautiful tailored looks fit for the Upper East Side strode down the runway in regal purple, blue and camel. 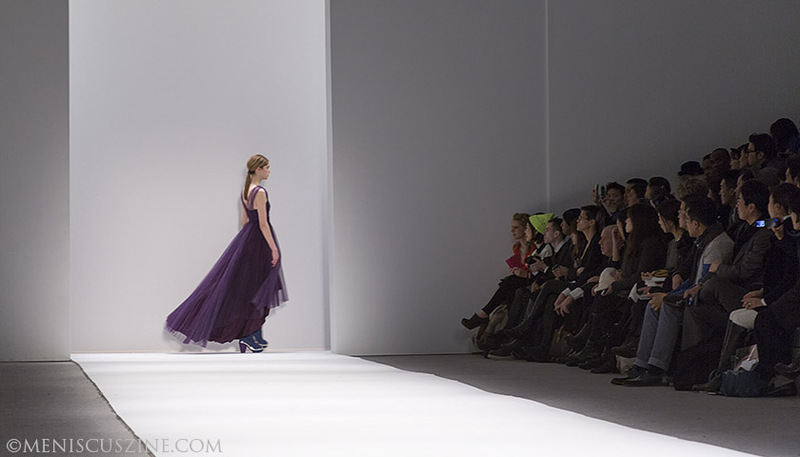 A glamorous purple chiffon gown swung down the runway in Wan’s finale look, teasing the audience with the promise of more elegance in her full runway show taking place later that week. 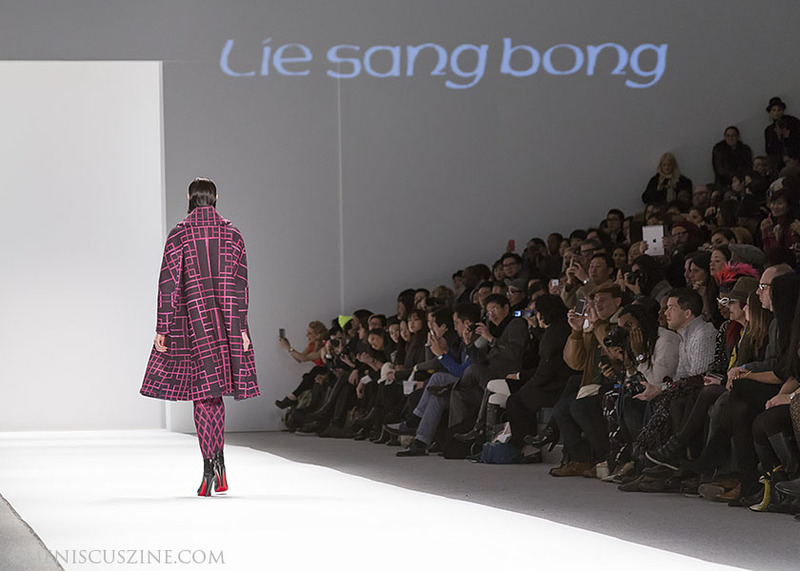 A futuristic glowing white hat lit the way for Lie Sang Bong’s eponymous collection of geometrically-printed coats, dresses and skirts. 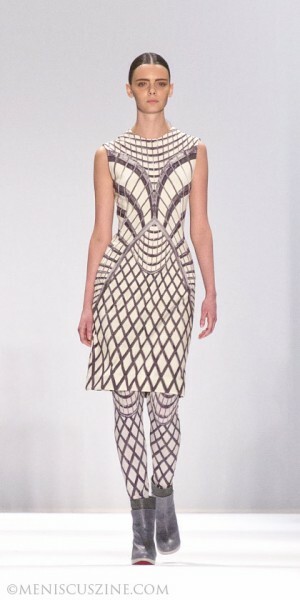 A simple white sheath dress with a clean pattern formed by right angles gave way to successively more complicated prints in green and pink that looked like particularly complex levels of the classic Pipe Dream game. 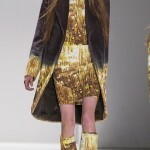 The crazy patterns did not stop in the final capsule collection. 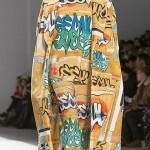 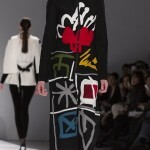 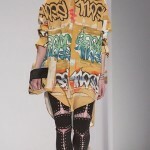 Kathleen Kye’s designs for her label KYE were youthful and fun, especially the loud multi-colored graffiti prints. 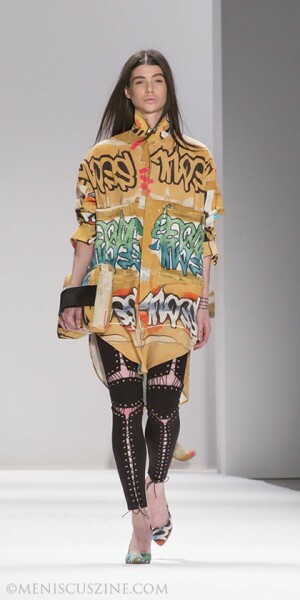 Further using inspiration from the street, she sent out looks including baseball caps and one particularly pimp-tastic bright blue knee-length fur jacket.